The news is distributed throughout and this time the online giants Amazon have promoted their signature products. Yes, the e-commerce giants have come up to debut their three echo speakers in India. The Amazon Echo Dot, Echo Plus, and Echo have been finally launched in India. The items are being priced at Rs. 3149, Rs. 10499 and Rs. 6999 respectively. All of the three products are listed on the e-commerce platform and they can be purchased on requesting an invitation. The Echo is the mid-tier model of the Echo series. It generally comes up with an air field control. Infact, it comes up with an array of almost seven microphones that uses the beam-forming technology and also the noise cancellation technology in order to listen to the commands. Apart from this, the Echo also has a 360 degree unidirectional speaker and also a 2.5 inch down firing woofer. The price of the product is nearly Rs. 6999 and is available in three different colours including the charcoal, sandstone as well as healthy grey colour shells. 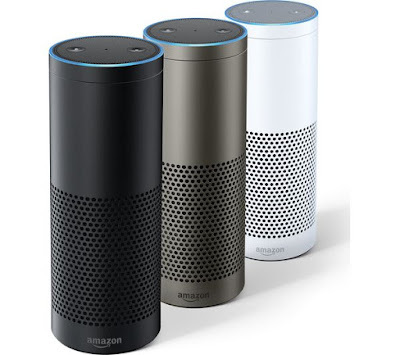 The technology used behind the Echo to manufacture it is magnificent and you would love to use the Amazon Echo at any time of the day. 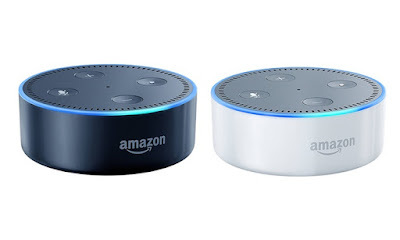 The Echo Dot is probably the cheapest device that you can purchase among the three. It comes up with a support of Bluetooth and also a 3.5mm audio jack. It is also the smallest in the size when it comes to comparisons. 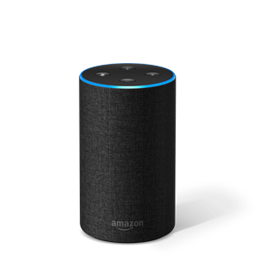 However, with the latest upgraded technology, the Echo Dot can put up hands free voice recognition. When considered about the design and the specifications, the Echo Dot looks stunning. It has all the features of a standard Echo. Above than this, the Echo Dot also supports a sporty and sleek design which can easily play music and check news. The price of the echo is set at INR. 3149 and is available in Black and White Colour Variants. The Amazon Echo Plus also comes up with some of the best features of all the time in different ways. The device also comes up with all the features of the Echo and also comes up with a built-n smart home hub. Infact, it certainly comes with some of the best features which are supported by the ZigBee from Philips Hue. You can also use the Echo Plus to check the weather and do a lot of more things. The Echo Plus has been priced at around Rs. 10499 which s marginal because of the features. The new Echo Plus will allow you to easily connect with the smart devices in your home. It certainly has some of the best features that you were looking for and making it count. The launch of the Amazon Echo, Amazon Echo Dot and the Amazon Echo Plus are indeed a great thing to have in your home. With the latest technology on the vibe, it is surely on the way to make your home smarter. So, if you are thinking to buy any of them, you can easily get them at Amazon.